As the members of the search committee gather for the first time, their goal seems straightforward: create a shortlist of finalists for the tenure-track position in their department. It’s agreed that anyone receiving one or more “outstanding” votes will be considered for a phone interview, and the rest will be dropped. Alice, a recently hired associate professor, really likes one candidate, but the other members tell her they’ve met him and he’s “a disaster,” with a “terrible personality.” He’s eliminated. Two postdoctoral fellows in the department have applied, but only one advances, because his mentor, Jane, is on the committee and vouches for him. A third candidate is held in reserve because someone heard she’d resigned from her job to follow her spouse, and the committee isn’t sure it can close the deal with both of them. A candidate from a prestigious Ph.D. program is granted a phone interview despite having no teaching experience, while someone from a lesser university who has taught is put on the back burner. Sound familiar? Anyone who has sat on a faculty-­search committee knows how fraught the process can be, as this case study illustrates. It is often rife with personal biases, groupthink, power dynamics, rushed judgment, and potential conflicts of interest, while relying on imperfect measures of intelligence, experience, and ability. The process may also be why the professoriate has a diversity problem. If whom you know, where you got your degree, and “fit” — a vague characteristic that often does little more than reflect how comfortable we feel about someone — are what get people in the door, where does that leave job seekers who are different from those who do the hiring? The fact is that academe remains a predominantly white enclave for people with Ph.D.s, a situation that student protesters have drawn attention to in recent months. On average, out of every 100 full-time faculty members only five are black, four are Hispanic, and fewer than one is Native American. These figures barely changed from 2009 to 2013 (the latest year for which figures are available), even as the student body became more diverse. 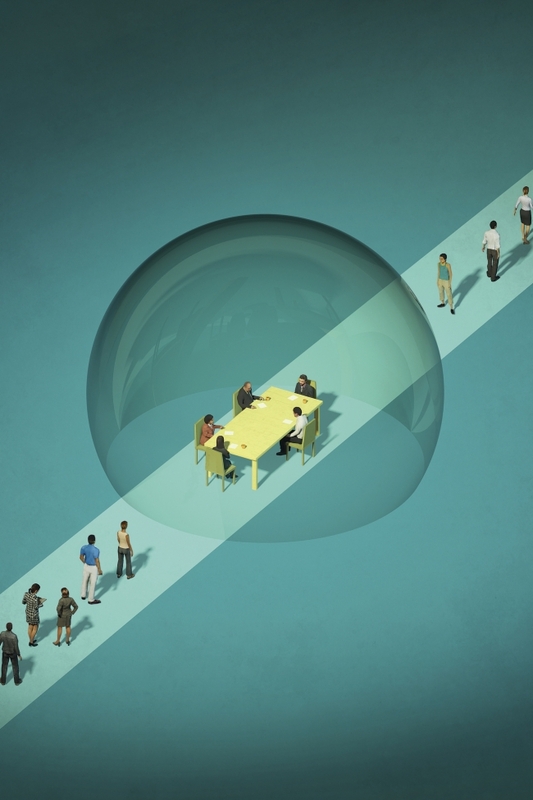 That growing gap has driven a number of colleges to rethink the faculty-search process. After all, there is no other place on campus where a single hire can turn into a 30-year commitment. Some institutions train professors to avoid the kinds of implicit bias that lead to discounting experiences different from our own, they employ recruiters to help search committees cultivate a more diverse applicant pool, or they use data and internal reviews to examine hiring patterns down to the departmental level. To be sure, creating a more racially and ethnically diverse faculty has serious structural challenges. Only 13 percent of people who earned doctorates in 2014 came from underrepresented groups. In science, technology, engineering, and math, the showing is often worse. How can you hire people who aren’t there? Yet colleges that have rethought the search process found that some of these barriers can be overcome through more-active recruiting combined with more openness toward nontraditional candidates. And while it may be hard to move the needle nationally, any one institution, they note, can do a lot to improve its numbers. 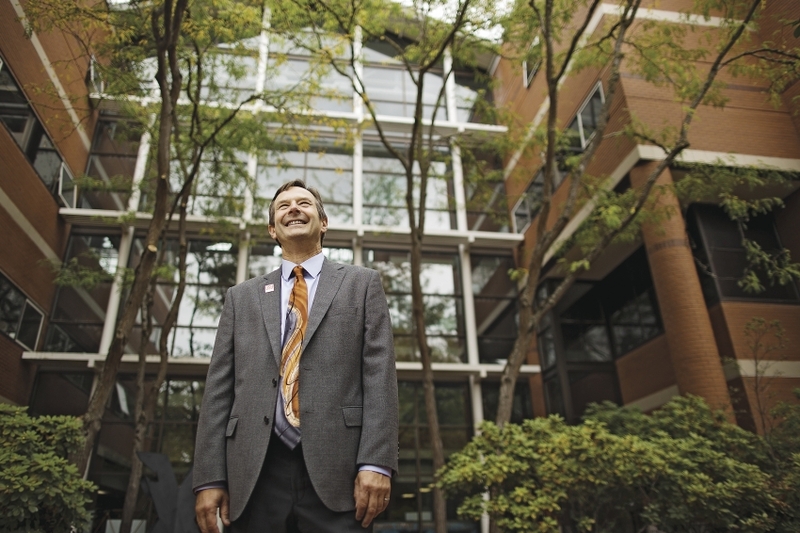 “We are building a community that will attract people to be a part of it,” says Scott Ashford, engineering dean at Oregon State. Few institutions have embraced this rethinking as ambitiously as Oregon State, which created the position of “search advocate” about a decade ago to help hiring committees design a fair and inclusive process. The university has trained more than 800 people, or about 15 percent of the current faculty and staff, to become search advocates. While search advocacy is just one tool that Oregon State is using to improve hiring outcomes, it shows some promising early results. According to reviews of searches that took place in 2014-15, those with search advocates resulted in the hiring of candidates from underrepresented groups in 25 percent of the cases, compared with 11 percent for those without advocates. One hot August morning, while the rest of the campus is in a summer lull, Ms. Gillies welcomes a new class of recruits to search-advocacy training. A mixture of faculty and staff members from Oregon State and Mount Hood Community College, longtime employees as well as new hires, have signed up. Some are here because their departments require search chairs to be trained; others simply have an interest in making the campus more diverse. Looking to Do Better on Diversity? Read more about how you can change things at your own institution. One of her favorite tools is the case study, in which she asks the class to break down a real-life example — in this case the search with Alice, a professor she knows at another university. The group is quick to see the many ways in which this search failed to be either thoughtful or objective. The committee moved through applications too quickly. Candidates were rejected based on feelings or intuition. Others were advanced because of favoritism or bias toward elite institutions. The search advocate, Ms. Gillies reminds participants throughout the workshop, is not there to criticize, judge, or steer committee members toward particular candidates. Rather, the advocate is there to help them test their thinking. Asking people why they value certain qualifications or how they will measure required skills, she says, can be a powerful tool for getting them to consider a broader set of options. In the session and during breaks, participants talk about how hard it is to recruit racial and ethnic minorities to Corvallis. “Welcome to one of the palest places in America,” jokes one participant. That is not an exaggeration. About 88 percent of Oregon residents are white, far above the national average, the legacy of racial-exclusion laws on the books as recently as the 1920s. Training on recognizing implicit bias is becoming more common on campuses as colleges help students and professors better understand how subconscious feelings, often shaped by cultural forces, can lead them to stereotype people based on race, ethnicity, gender, or sexual orientation. A commonly cited 2014 study, in which three university researchers created fictional query letters from prospective doctoral students asking to discuss research opportunities, found that professors were more likely to reply to someone with a white-sounding male name. Emails from women and minorities received fewer responses. The letters were sent to more than 6,500 faculty members in dozens of disciplines at more than 200 universities. Another study, published in 2004 by two economists, found that when identical résumés were sent in response to job ads, those displaying white-sounding names received 50 percent more callbacks for interviews than those with black-sounding names. Oregon State remains challenged by those demographics and further limited by its rural location, a 90-minute drive from Portland. Yet both the state and the campus are changing, shaped by a growing number of Latino residents, international students, and first-generation collegegoers. Those changes have accelerated diversity and equity initiatives on campus, including the creation in 2014-15 of about 40 tenure-track positions designed to improve student success as well as faculty diversity. When she ran her first workshop, in 2008, Ms. Gillies was greeted with suspicion: Was she training spies to report back to human resources? Since then the campus has warmed to the advocates’ role, she and others say, particularly as the benefits of a diverse work force and an understanding of unconscious bias have entered into a national conversation. Workshop participants are encouraged to take a series of online tests that measure implicit bias, to show that most of us absorb ideas that lead us to stereotype people based on the group they are in. Ms. Gillies segues into a discussion of two types of thinking: fast and slow. When search-committee members are stressed, tired, or short on time, they often default to the more emotional, less neutral forms of judgment found in fast thinking. The job of the search advocate is to slow everything down, she says, so that people have time to think carefully. At one point, Ms. Gillies flashes a series of grids on the screens around the room, outlining a detailed matrix against which a hypothetical search committee can measure each candidate’s experience, credentials, and skills. By taking a methodical approach, she says, members are less likely to use superficial reasons for rejecting or advancing applicants. A 2008 report, “Breakthrough Advances in Faculty Diversity,” by the academic-consulting firm EAB, concluded that many diversity efforts falter because colleges fail to drive a sense of ownership down into academic units. The report’s recommendations for senior leaders echo those being tried by a number of colleges today: Engage faculty members, share data on how peer institutions are performing, prime the pump by creating networks of potential candidates, review the diversity of candidate pools as searches progress, and be prepared to respond to red flags. The job of the search advocate is to slow things down, so that people have time to think carefully. Columbia last year added $33 million to $30-million faculty-diversity efforts, including expanding pipeline programs into the professoriate and improving support systems for diversity in hiring. If colleges instead begin conversations about hiring long in advance of when positions come open, says Ms. James, not only will they start building networks of potential recruits, but they’ll also be forward-thinking in their outlook. 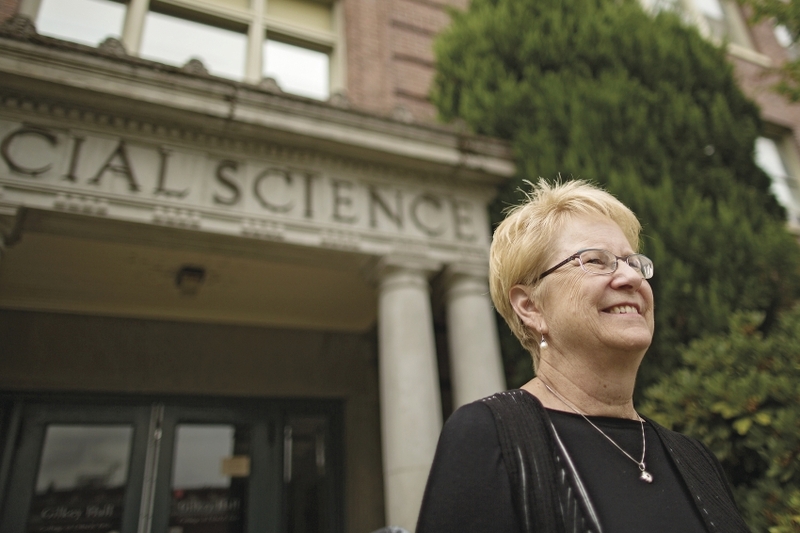 She works with search committees to develop a process similar to what Ms. Gillies recommends at Oregon State: Discuss your discipline’s future, recruit widely, and agree on what you’re measuring before you open up that first application. “It’s the act of doing it that really changes you,” she says. Job candidates say they can tell the difference. In every interview on six campuses, Matthew Anderson, an assistant professor in the department of microbiology at Ohio State University, gauged the institution’s interest in diversity. His Eastern Cherokee heritage may not directly affect his research, he says, but he wanted to work in a place that welcomed him. At Oregon State, search advocates are usually placed on committees in departments outside their professional fields, allowing them the freedom to ask a lot of questions. What are the emerging fields in a particular discipline? That opens the door for candidates whose research and teaching reflect America’s changing interests and demographics. Can the job ad be written broadly and with a minimum of required qualifications? That can attract unconventional applicants, such as those who came up through the community-college system or transitioned from nonacademic careers. Do the venues where the department normally advertises attract a diverse set of scholars? 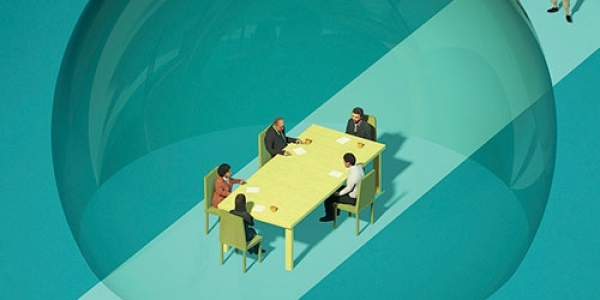 That encourages faculty members to tap their professional networks and create new ones. One search committee, for example, wanted candidates who had secured a particular kind of grant. Ms. Lach asked who typically gets that kind of financing. “So what it means is that they had a good mentor who is connected to the funding agency and is also a good grant writer,” she says of the conversation that followed. “They were talking about it and started to realize that what they were doing was privileging the people who had already been privileged in their graduate program.” The committee ended up writing a more general statement, in which candidates could reflect their resourcefulness in a variety of ways. Oregon State is one of a growing number of colleges that ask applicants to demonstrate their own commitment to diversity and inclusion. But that can present a challenge. Linda Bruslind, a senior instructor in the department of microbiology, nods knowingly when Ms. Gillies says many candidates still ignore that requirement. Is it because they don’t understand the request, Ms. Bruslind wonders, or that they don’t take it seriously? She recalls one applicant’s saying that the fact that he had moved the date of a department potluck dinner after he learned that it fell on a colleague’s religious holiday showed he was committed to diversity. Still, Ms. Bruslind and other faculty members say they’re seeing a culture shift. Part of that is Oregon State’s increased commitment to hiring people interested in supporting diversity. And part of that is generational. Younger faculty members have come of age in a more diverse environment and are often quicker to understand why it’s an important conversation to have with candidates. Seeking new hires who contribute to diversity, advocates say, also forces departments to reflect on their own actions. The university’s work shows signs of paying off, with the number of members of underrepresented groups inching upward across the campus. About 15 percent of assistant professors come from underrepresented groups, compared with 9 percent of associate professors and 5 percent of full professors. One chair, he says, was removed when he didn’t go through search-advocacy training. A search was rejected because the committee hadn’t asked candidates to submit diversity statements. Mr. Ashford, who recently appointed an associate dean for faculty advancement to help with this work, says that while diversifying the faculty has been a slow process, he’s convinced that his college has become a more welcoming place. 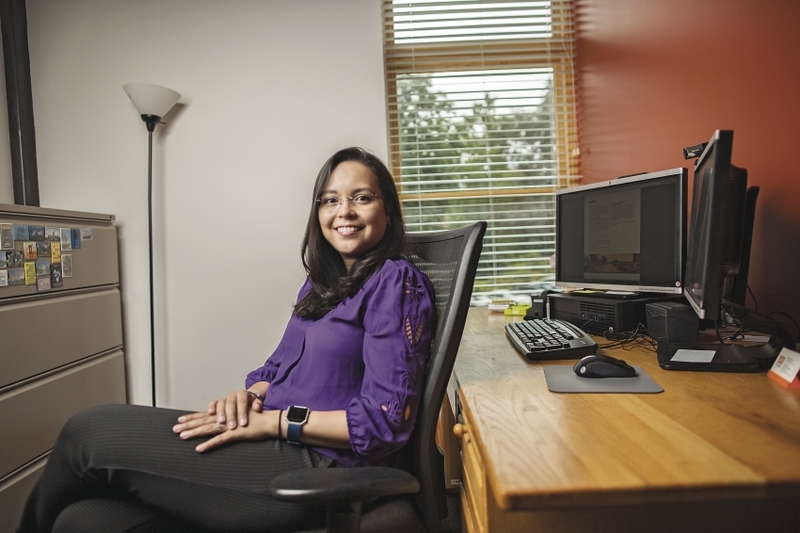 Ingrid Arocho, an assistant professor of engineering at Oregon State, was introduced to people from different backgrounds during her interviews. The experience persuaded Ms. Arocho, who is from Puerto Rico, that she’d fit in. “It wasn’t enough for me to say I love diversity because I am diverse,” says Ms. Arocho, who is from Puerto Rico. Instead, she talked about how it was important to encourage students to see that construction careers were possible for women and minorities. During her on-campus interviews, the search committee introduced her to professors and staff members from different backgrounds. The experience persuaded her that she’d fit in. This entry was posted in Uncategorized on September 12, 2016 by pudentilla.